I have a seven year old daughter who adores making crafts. I’m convinced it won’t be log before she is creating all of her own clothes and things like that. She got a fun sewing machine for Christmas, and is already planning making clothes for her 18 inch doll. 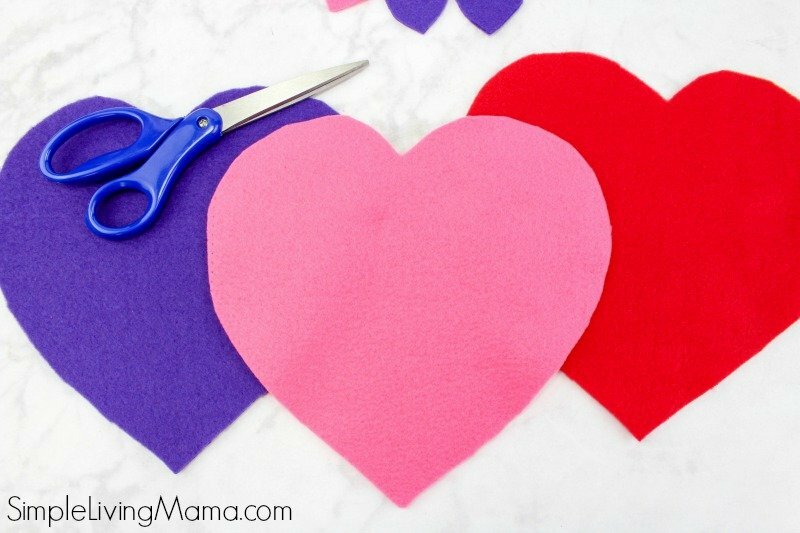 This easy Valentine’s Day craft is perfect for girls her age who enjoy making things out of fleece, but may not have many sewing skills yet. 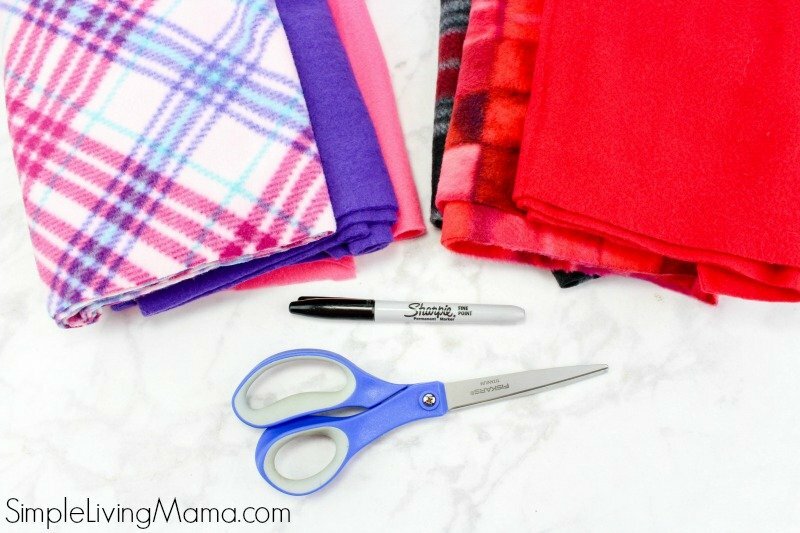 We love playing with fleece and using it in a variety of ways in our home, so this is fun! 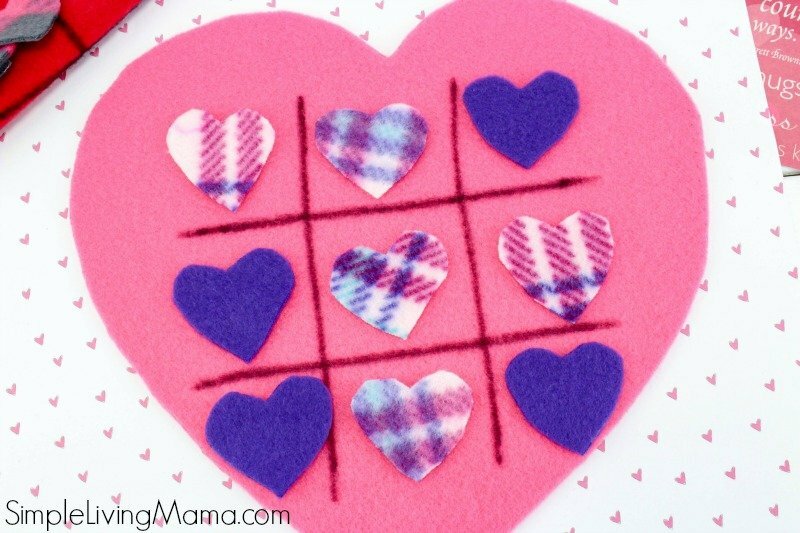 Plus, it doubles as a game of tic-tac-toe, which is a great Valentine’s Day activity for kids! Cut three large hearts out of three pieces of fleece. Be sure to reserve a little extra to cut five tiny hearts out of each of these colors. Cut five tiny hearts out of the other three pieces of fleece. 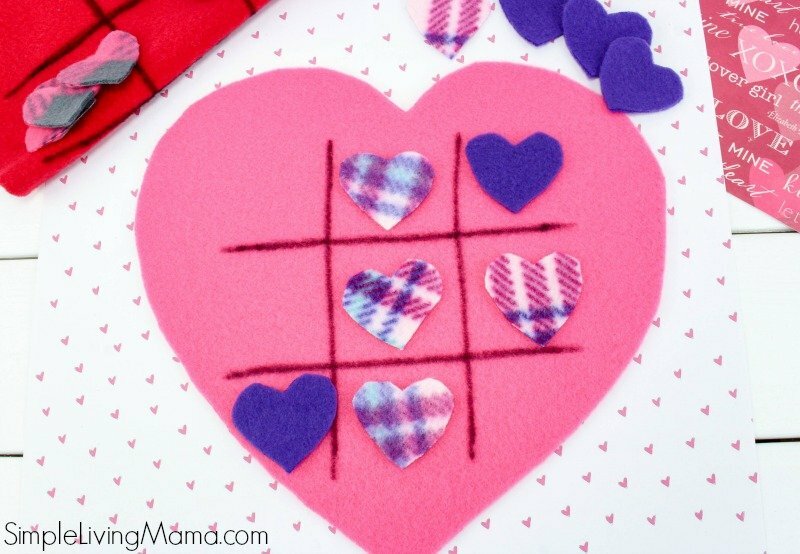 Use a black marker and draw a tic-tac-toe game board on each of the three larger hearts. 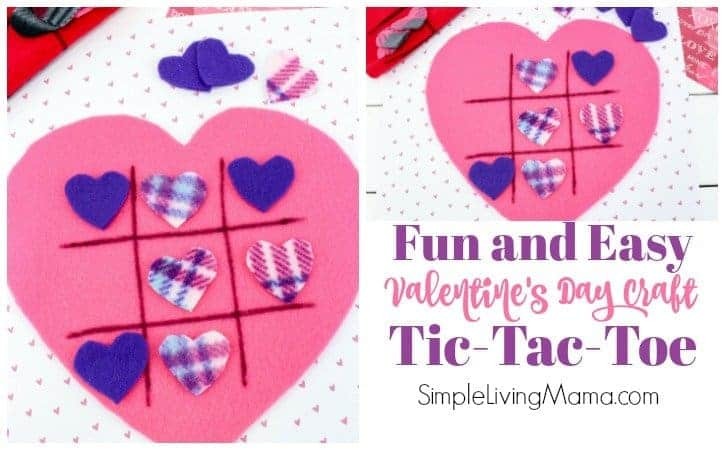 Have fun playing tic-tac-toe with a friend! Like I said, this is such a fun project, especially for tween kids. My daughter just loved making these games and challenging her brothers to a friendly game of tic-tac-toe. 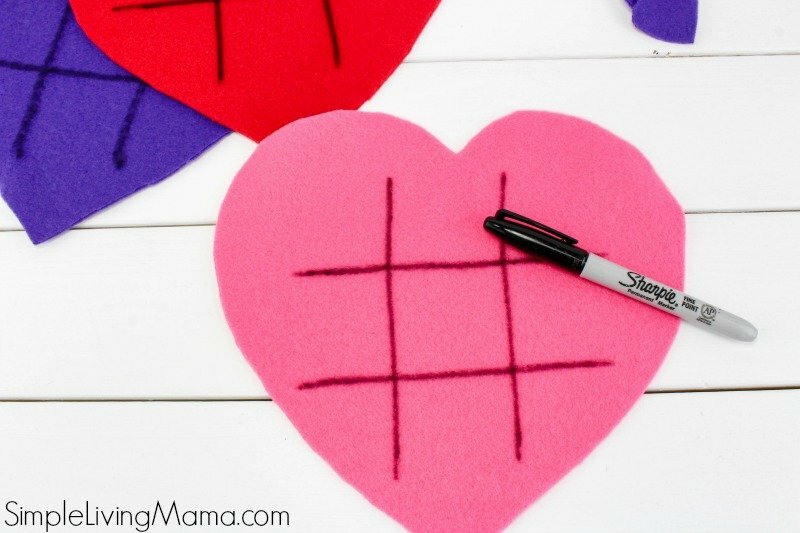 Another fun way to play this game with toddlers and preschoolers is just to show them the shape of the heart, and help them identify colors. They could sort the smaller colors in rows that match. 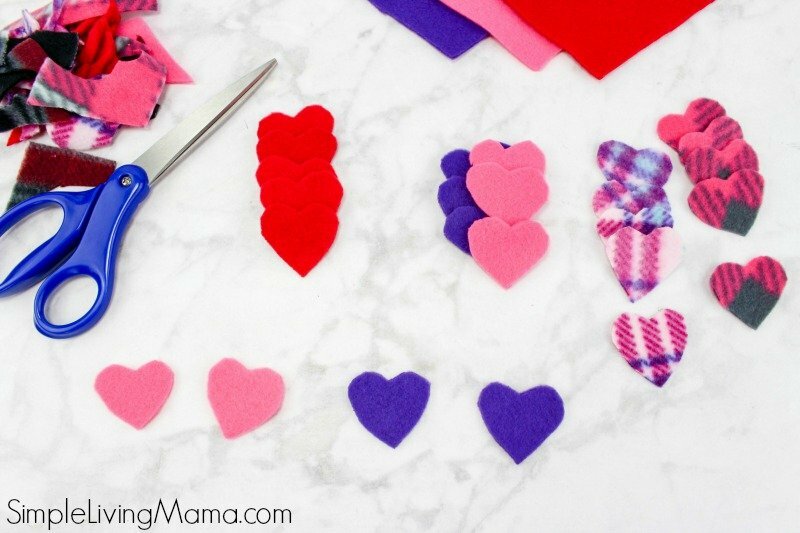 You could also vary how you cut the smaller hearts and have your children match them by color to the larger hearts. 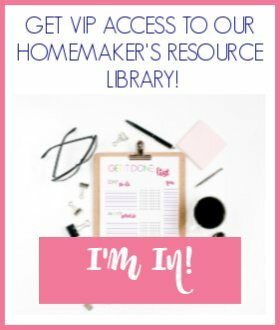 There are several fun ideas here! Another great idea is to give these as homemade Valentine’s Day gifts! 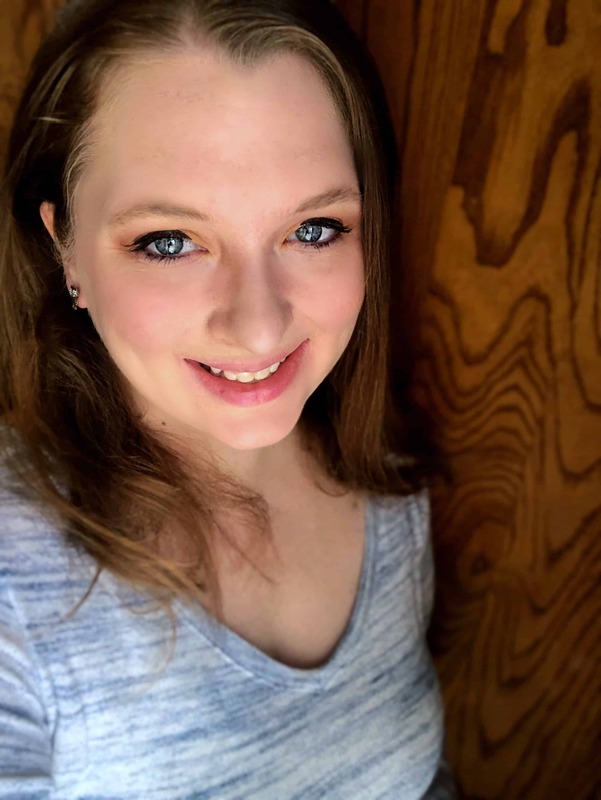 Our local co-op has a fun Valentine’s Day party for the kids, and I’m thinking of having my daughter make some more to put in her friends’ Valentine’s Day boxes. That would be a fun treat! You could add some Valentine’s Day candy or a cute card and place it all in a baggie. 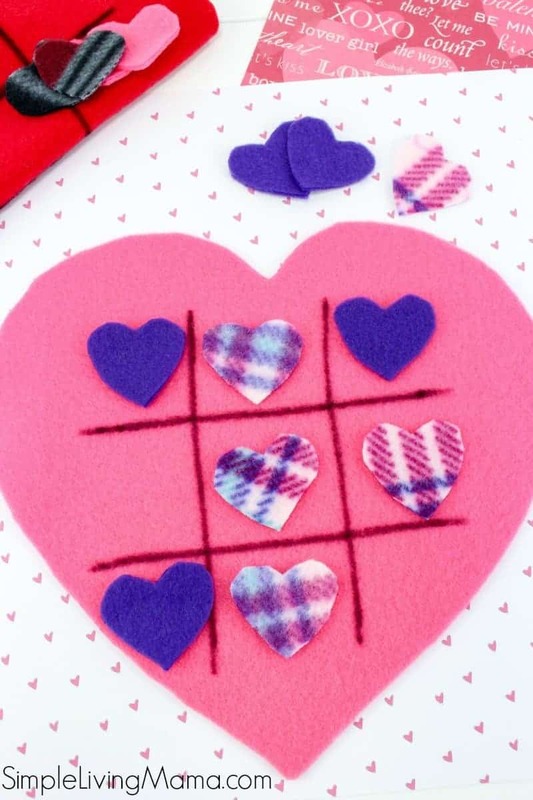 Have fun crafting this Valentine’s Day!